Kennedy Krieger Institute announces the appointment of Dr. Paul H. Lipkin as Director and Principal Investigator of the Interactive Autism Network (IAN). IAN is an online research platform and registry that connects individuals on the autism spectrum and their families with researchers nationwide. IAN’s more than 48,000 participants make it the world’s largest online autism research project, and its comprehensive website engages the community by reporting back to families on important progress and discoveries. Under Dr. Lipkin’s direction, IAN will continue to facilitate and expedite the exploration of causes, treatments and the search for answers to this puzzling disorder. "Dr. Lipkin's leadership at the helm of Kennedy Krieger's Interactive Autism Network will ensure continued growth and expansion of this critical resource for the autism community," said Dr. Gary Goldstein, President and CEO of Kennedy Krieger Institute. As a former Robert Wood Johnson Foundation Health Policy Fellow, Dr. Lipkin gained experience shaping health and disability policy that he will use to broaden IAN's efforts to influence and inform policy changes that benefit individuals with autism. "In just seven years, the Interactive Autism Network has made a notable impact on autism research by contributing to the knowledge base and helping to facilitate over 500 studies. I am excited to carry this success forward by expanding on both the policy front, as well as by promoting activities for informing and engaging the public in autism research through the IAN Community," said Dr. Paul Lipkin, Director of the Interactive Autism Network at Kennedy Krieger Institute. Board-certified in pediatrics, neurodevelopmental disabilities, and developmental and behavioral pediatrics, Dr. Lipkin has specialized in the evaluation and treatment of children with delayed language development, autism spectrum disorder, developmental delays and intellectual disability for more than 20 years. Dr. Lipkin is a past Chair of the American Academy of Pediatrics (AAP) Council on Children with Disabilities, where he led educational and policy initiatives aimed at improved identification and care of children with disabilities. He is also the 2011 recipient of the AAP's Arnold Capute Award in recognition of his contributions to the field of developmental disabilities. 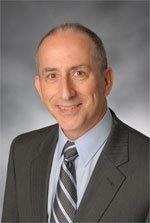 Dr. Lipkin previously served as Director of Kennedy Krieger's Center for Development and Learning. Internationally recognized for improving the lives of children and adolescents with disorders and injuries of the brain and spinal cord, the Kennedy Krieger Institute in Baltimore, MD, serves more than 20,000 individuals each year through inpatient and outpatient clinics, home and community services and school-based programs. Kennedy Krieger provides a wide range of services for children with developmental concerns mild to severe, and is home to a team of investigators who are contributing to the understanding of how disorders develop while pioneering new interventions and earlier diagnosis. For more information on the Kennedy Krieger Institute, visit www.kennedykrieger.org.